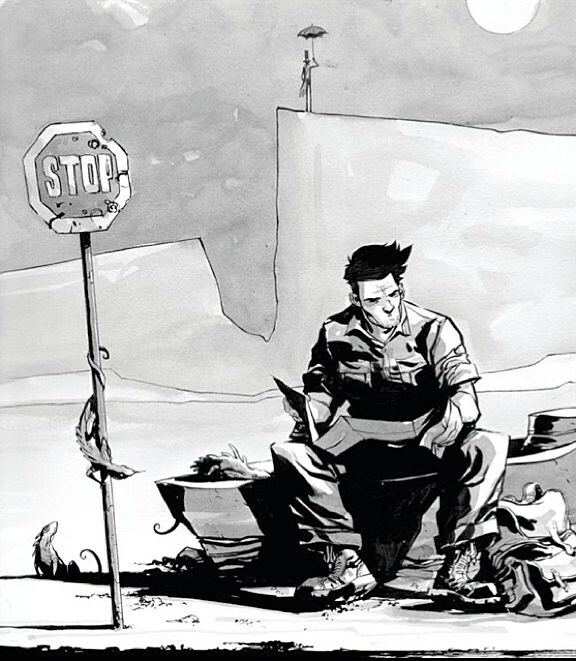 Archaia showed off a few pieces of Ramón Pérez's art from the graphic novel adaptation of Jim Henson and Jerry Juhl's unfilmed screenplay, A Tale of Sand, in their 2011 Free Comic Book Day issue, but aside from those images fans haven't learned much else about the visual side of the title. A few cool new details have emerged from LA Weekly's recent visit to Archaia's studio, however, that flesh out the kind of reading experience readers can expect when A Tale of Sand arrives in November. In addition to a sound track-like evolving color palette, the graphic novel will include a custom font based on Henson's handwriting.Archaia publisher Mike Kennedy described the book's use of color to LA Weekly saying, "They're doing some really nice stuff where they're using color almost like a soundtrack," says Archaia publisher Mike Kennedy, "The style, the vibrancy, of the color will change." Kennedy also praised the book's special font for its intended authenticity. "It's going to look like Henson hand-lettered the book himself," Christy told LA Weekly. Originally slated for a September 20 release -- four days before what would have been Henson's 75th birthday -- the title's since been timed to drop a week before The Muppets movie arrives in theaters on November 16.